Every year Neiman Marcus's Christmas Book is a feast for the eyes (and pocketbook!). This year you can buy such mundane things as edible gold (starting at $40) all the way up to a Jack Nicklaus Custom Backyard Course Package where for, starting at $1 million dollars, Jack will design a golf course just for you. To get into the Neiman Marcus spirit, check out Shopgirl, by Steve Martin. The writing can be a tad dry (Publishers Weekly considered it "neither a triumph nor a disaster"), but the story of a lonely girl at a service desk that no one goes to is intriguing. Martin's prose is compelling, but do not read this book and expect a lot of humor. 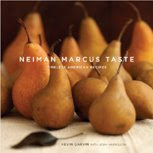 For those that are yearning for the delicious culinary offerings of Neiman Marcus, check out Neiman Marcus Taste: timeless American recipes. It offers over 110 recipes from potato and bacon soup to the more classic garlic and herb monkey bread. When I was about 6 or 7 years old, I was convinced that I would be able to read every single book in the world (assuming I lived to at least 90, of course). It didn't take me very long to realize that I would probably never accomplish that goal, seeing as how I might need to learn a few dozen more languages. Instead, I decided to concentrate on building my own library of books. When I was in middle school, I had a fairly small collection (maybe 100 titles) that I arranged in alphabetical order. On a sheet of lined notebook paper I created a sort of spreadsheet that included categories for "Person's Name", "Book Title", "Book Author", "Date Checked Out", "Date Returned." I then told my younger brothers that they were allowed to check out one book at a time from my personal library. Today, I still categorize my books, but I now have a few more than back then and I let my brothers check titles out without any paperwork involved. New Englander James Walker has built a 3,600 square foot personal library to rival even some of the most well-known and beautifully curated public libraries in the world. Not only does Mr. Walker have editions of rare books (such as the 1493 Nuremberg Chronicle), he has an amazing collection of artifacts (from the Nazis' Enigma machine to pieces of the Sikhote-Alin meteorite). Please click on the photo above to see more images and to read more about Mr. Walkers library. This morning, Woodland West Branch hosted the first meeting of a new daytime book group called Good Grounds For Books and was, if I do say so myself, a terrific success. Held the third Wednesday of each month from 11am to 12pm, Good Grounds For Books is not your typical book group. We do not assign a specific book to read. Instead, we brew a fresh pot of coffee, munch on some biscotti, and talk about our favorite reads. 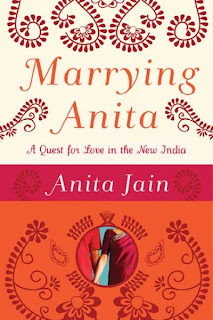 I came across a review of Marrying Anita: a quest for love in the new India during my perusal of the August 31 edition of the New York Times Book Review and immediately thought of the multiple chick-lit type books that show arranged marriages in a new, fresh light. I've read many of them, so this non-fiction version would surely appeal to me. Anita decided to spend a year in India after she wrote an article for New York magazine asking if arranged marriages were really any worse than Craigslist. Are they? I don't know. But I like delving into another world, where mendhi tattoos are the norm for brides and everyone is wrapped in silk (and parents who want the best for their children in ways not usually seen in the United States).